Social media has become a part of our daily lives with people of all ages using it. While it’s important to your independent contractor travel business to be active on social media, it’s more important that you determine the best use of your time. Here is a breakdown of the social sites that will help you to customize your social media plan as an independent travel agent. LinkedIn is the perfect place to share professional content and network with others in your industry. If you specialize in Corporate Travel, Corporate Group Travel and Meetings and Events Travel, this will be an important channel for you as a B2B social Network. 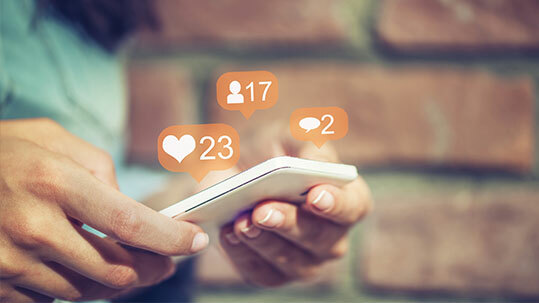 Facebook is the perfect place to engage with your Leisure Customers, since content is easy to share and has a high number of users—many of which view content via Facebook on a daily basis. Facebook is the most widely used social media platform with 79% of Americans using it today. Twitter is less visual and has a 280 character limit, so it requires the use of tagging others and using hashtags (#)to drive engagement and shares. This channel moves incredibly fast, so it’s important to keep active multiple times per day. Instagram is a mobile app where you can share inspiring travel photos or videos. This is beneficial for Leisure Travel or even a specific travel type like Luxury Travel, Adventure Travel, and Destination Weddings & Honeymoons. Share client photos of your own as a way to encourage Instagram users to book travel with you. Pinterest Is a visual channel where you can create idea boards, such as travel bucket lists, warm weather destinations, or family travel tips for parent with children under five. The content links back to your website, so be sure to finish that communication channel and give the viewer the understanding of why you are the best one to call for that particular topic. This will create that spider affect and draw additional views to your website. HINT: Chose a social media platform to focus on. Be sure you are active on it daily. Create visuals for best engagement. Have fun in telling your story—whether it is a new destination you just went to and showcase your own pictures, a new product you experienced or something cool and exciting that you want to share about travel that will inspire or entice your phone to ring.